Each month we will be challenging our fabulous team of ProjectPea Designers to create FUN & CREATIVE projects that are sure to make you look at your stamp sets with brand new eyes! The team has pulled out all of the stops with a variety of projects that will spark YOUR creativity. Click through to each of their blogs below to see the FUN they have dreamed up. 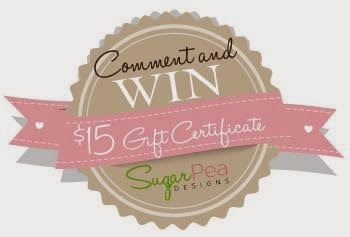 Leave them a little blog love and one lucky commenter will WIN a $15 Gift Certificate to the SPD Boutique! I made this fun hot chocolate mug using the 3d hot cocoa/coffee mug file from the Silhouette Online Store. I put my mug together then added the sweet tag using the Layered Treat Label Sugar Cut Dies and the Sweet Treats-Christmas stamp set. 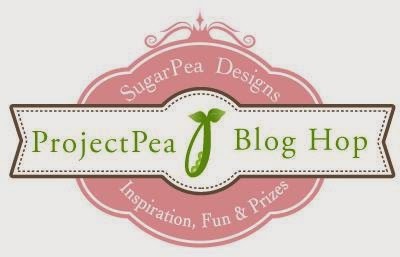 Make sure you check out more fun projects from the rest of the ProjectPeas! Soooooooooooooooooo cute and clever Kerri. I love that mug box and great tag. Love the pink hearts. This is so super cute!!! Such a sweet idea! Love it! 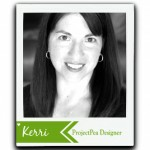 Perfect layout for your cup of cocoa, Kerri. I love the red ... it's so cheerful. Nice job. Very cute. I like the striped paper and the tag. What a really cute idea! The tag is magnificent. Sweet little mug. Love the pattern paper you used and the tag. Now that is a great idea, anyone would love receiving goodies packaged in such a clever way! 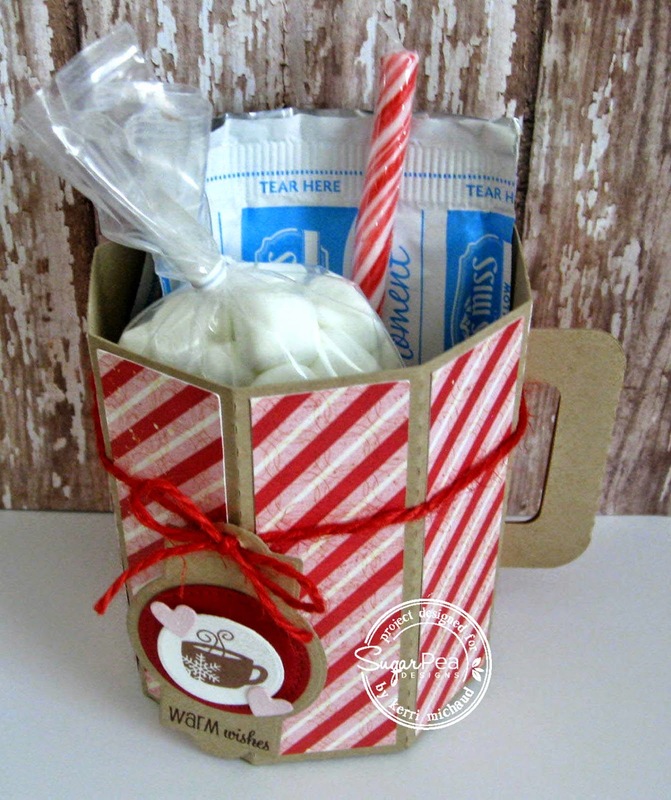 So many cute and clever ideas - using a mug shaped box, candy cane paper, and that festive tag. This is so cute!! I love it! LOVE your fun project with the cute die and stamp set!!! Goes perfectly with this mug cut file!! So cute! Love the gift idea. What a sweet little gift idea! This would make the perfect little Christmas gift and would definitely impress the recipient! It's so sweet! Such a cute little set. How fun! We're big hot chocolate drinkers in my house so something like this would be a huge hit! What a cute mug! Love the tag! Ha this is so cute and creative...love the presentation of this gift. LOVE the silhouette mug...awesome idea! What a little day brightener this would be during winter. I also like the stripey paper a lot!!!!! This mug is one of my fave images from this set, and how perfect on your mug! Love this creation! 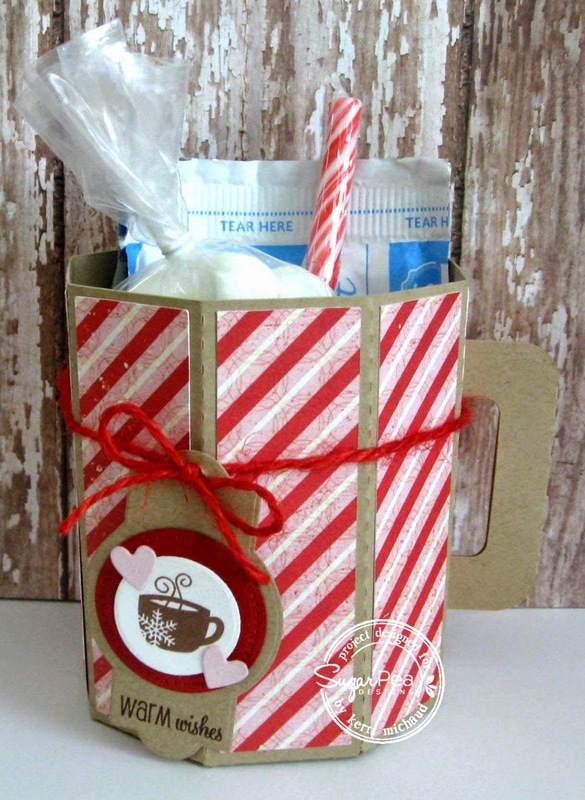 What an adorable mug gift bag!! Kerri: Brilliant idea. What a fun, thoughtful and warm way to show love any time of the year. Happy and inspiring 2015! So cute!! 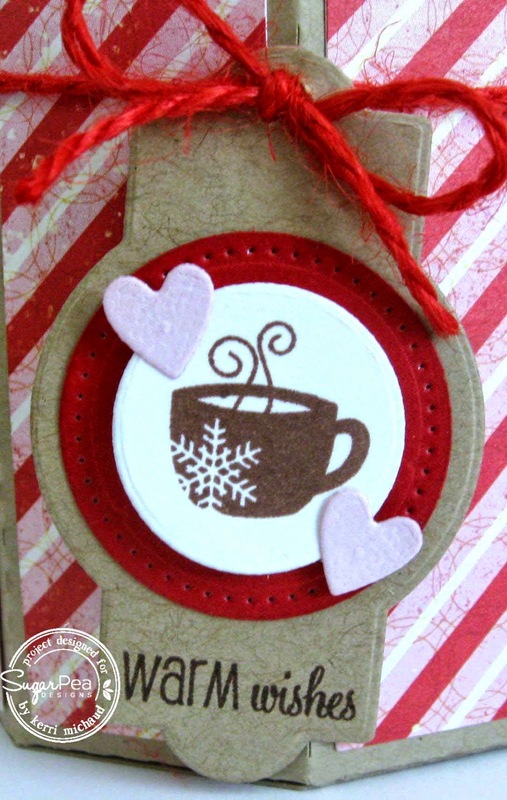 I love that little tag you made and the paper mug is just perfect for making a little gift a bit extra special.